After Li Mi's Encounters, now Zhou Xun is playing the role Shui Mei Ling in the movie "Painted Skin" invested 60 million Yuan. Her co-stars are Yen and Chen Kun. It was reported at first, Chinese actress Fan Bing Bing was selected to play the leading role, Shui Mei Ling. 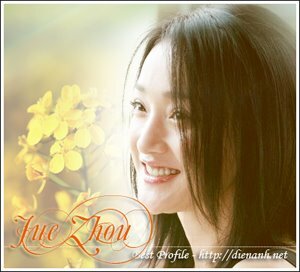 However, Zhou Xun's inteligence and wonderful performing skill persuades producers. They choose her and believe she will give the role new spirit. Although the movie is filming in Ning Xia now, there are a lot of rumours around which stars will join the movie besides Zhou Xun, Yen and Chenkun. We have to wait for the official press conference, will be hold in Beijing in December to know the truth.